In my last post, I took a look at four IoT-related technologies that have been converging to enable more efficient, reliable and smarter buildings. These include the new IoT architecture, power and building systems integration, mobile platforms, and advanced analytics. Now let’s look at three more related innovations that are helping connect to more opportunities while keeping networks secure. IoT-based solutions depend on the affordability of cloud-based remote servers, as well as their ability to scale to accommodate dynamic demands. In this way, cloud computing is progressively changing how buildings are managed. As mentioned in my previous post, the cloud can act as a remote services enabler, allowing your facility management team to take advantage of external expertise. This is becoming increasingly common, with a recent study by Navigant showing 26% of firms worldwide planning to continue or begin outsourcing energy management to an external firm. A cloud-based application can be used to share information and alarms with facility personnel as well as your contracted service partner. This enables the partner to provide regular consultation and recommendations to your team, as well as identifying and correcting equipment faults before they become critical. Such applications continuously upload and aggregate power and building infrastructure data where it’s accessible by facility and remote services teams. Your maintenance team can then use smartphone-ready digital logbooks to track equipment and maintenance activity in a simple and time-saving way. In my last post I mentioned the variety of advanced analytic applications now available for managing power, energy, and building systems in a more unified way. By going outside the facility, a management team can gain additional insights and opportunities. The following are two examples of how this extended connectivity can optimize energy performance. The technique of normalization helps control for factors that impact energy consumption. These factors can include hours of operations, units of production, etc. But energy consumption can also be normalized for weather by incorporating a real-time weather data feed. This predictive modeling technique ensures more accurate metrics when comparing the performance of different facilities, or tracking progress against efficiency goals. It also helps facility teams understand how efficiency and costs are influenced by a building’s interaction with the environment. Apps catering to the new energy ‘prosumer’ help maximize the flexibility of onsite energy production and consumption by taking into account real-time operational data from business processes and distributed energy assets like onsite solar and energy storage. Apps also integrate external data feeds, including weather prediction and energy pricing. They can also enable participation in smart grid programs such as demand response by managing communication with the grid, evaluating opportunities, and coordinating control of your energy resources. Verdantix warns that as IoT-based sensors and devices proliferate the threat of cyberattacks will increase. So when planning for an IoT-based solution, it’s important to consider the security of your networks and your data. Taking appropriate cybersecurity steps will reduce incidences, avoid loss of revenue, and safeguard your organization’s reputation with customers and partners. New standards and protocols are ensuring cybersecurity is maintained and managed for all IoT-connected building management systems. In support of this, many manufacturers are now providing security training to developers. Teams are following security regulations and using threat modeling, secure code practices, and extensive testing. Manufacturers are providing partners and customers with full documentation and secure deployment instructions, while some also have dedicated cyber-security teams that provide installation, lifecycle services, and support when incidents or vulnerabilities are reported. As attacks become more common and sophisticated, processes and procedures need to be place to secure building networks. If you have not done so already, you should be planning for training your network managers and making sure your systems are always updated. 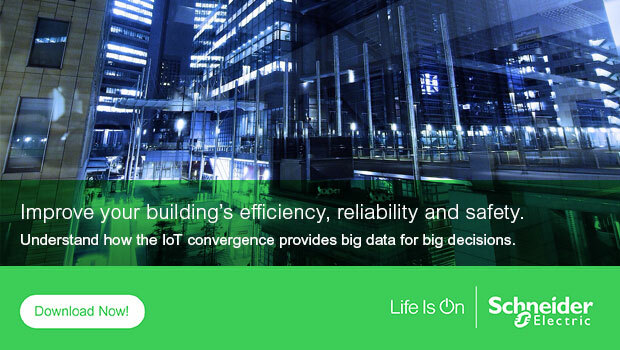 To learn more about this subject, download the white paper ‘How IoT In Buildings Is Unifying Operations, Catalyzing Efficiency, And Boosting Uptime’ and visit our solutions page.